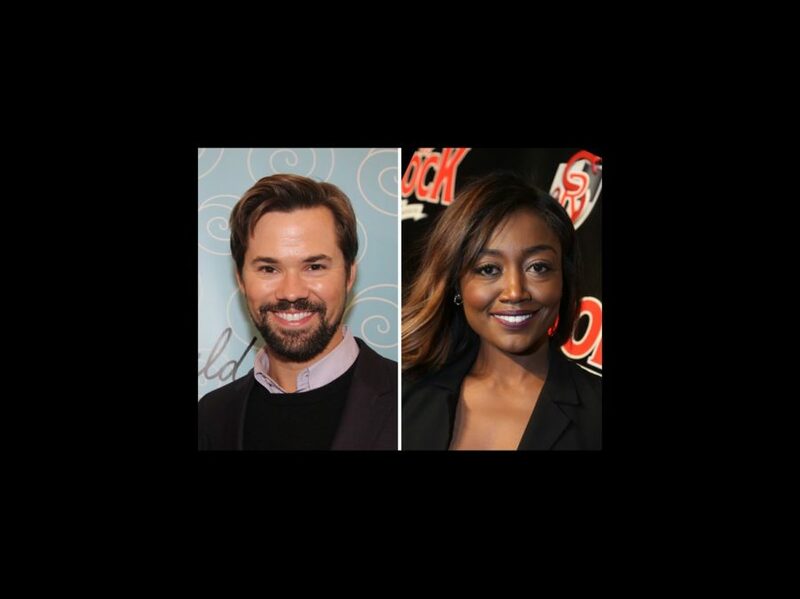 Recent Hamilton king Andrew Rannells and Tony winner Patina Miller have been enlisted to announce this year's Tony nominations! The event will take place on May 3 at 8.30 AM live from the Diamond Horseshoe at the Paramount Hotel. Broadway's biggest night is scheduled for June 12, hosted by James Corden. In addition to Hamilton, Rannells has appeared on Broadway in The Book of Mormon (for which he received a Tony nomination), Jersey Boys and Hairspray. On TV, he headlined the sitcom The New Normal and is a regular on HBO’s Girls. Films include Bachelorette and The Intern. Miller won the Tony for Pippin and also starred in the musical comedy Sister Act on Broadway. On screen she can currently be seen on CBS' Madam Secretary; other credits include Commander Paylor in the final two The Hunger Games movies. Bruce Willis and Mary-Louise Parker announced last year's nominations.